Spring Cleaning! Something I need to do more often than just in spring. No, seriously, I’ve got to get rid of some of this stuff. It was nagging at me to reach behind the books on my shelves and grab the forgotten treasures stashed in the shadows. 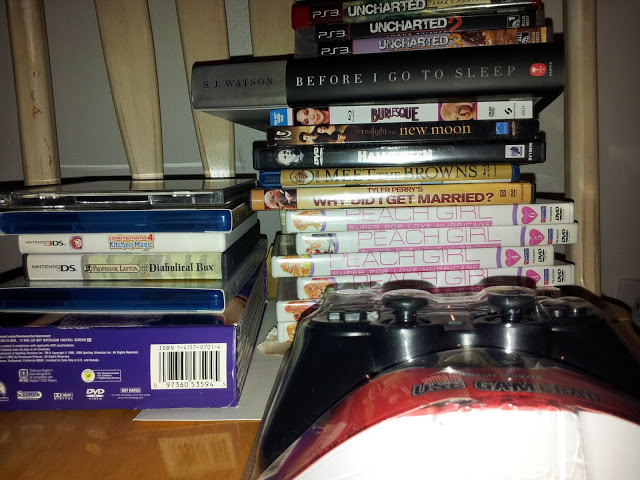 DVDs. Boxsets. Video games. Even a PC gaming controller that’s never been opened! What the hell could I do with any of this stuff? Other than throw the SOB’s onto Amazon Marketplace and see if they’ll sell their way out of my door! 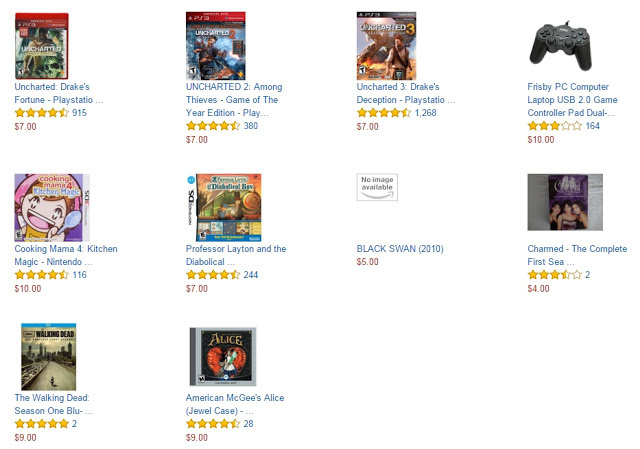 Everything in the above image isn’t listed yet (when did Amazon get a limited posting policy on media items?). Even so, if anyone’s interested, you can visit my Amazon Marketplace store to see what’s there. Meanwhile, I have to get a rag and start dusting elsewhere. I need some serious book space, I would attribute the rise in digital streaming to the lack of necessity for actual movie/TV show discs. Yet. Books will always be. There must always be room for books!